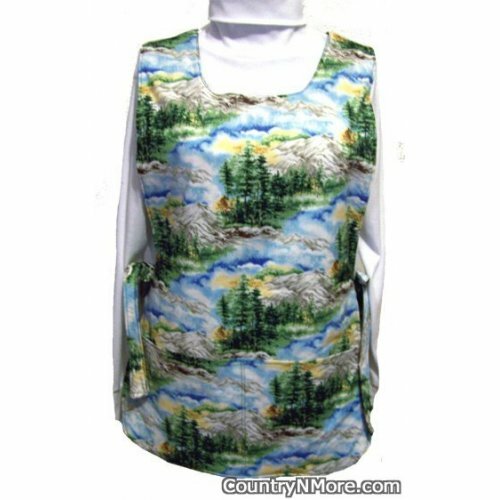 This gorgeous handmade cobbler apron has gorgeous nature scenes with tall mountains, pine trees, and variegated blue sky. 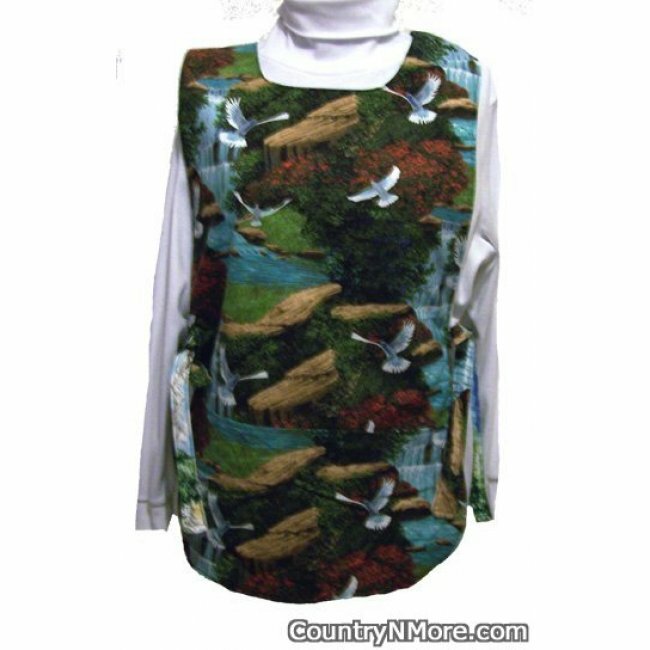 The reverse side is another gorgeous nature print, with waterfalls and doves. These prints remind me of when we go hiking and camping. It really makes one want to be in the great outdoors. Now Available: This print is now available in the BBQ style apron.